The Krewe of Orion’s 20th annual Mardi Gras parade in downtown Baton Rouge will take place on February 23, 2019, at 6:30 PM. Parade goers will be treated to a line of exciting, colorfully-lighted, and tractor-pulled floats. 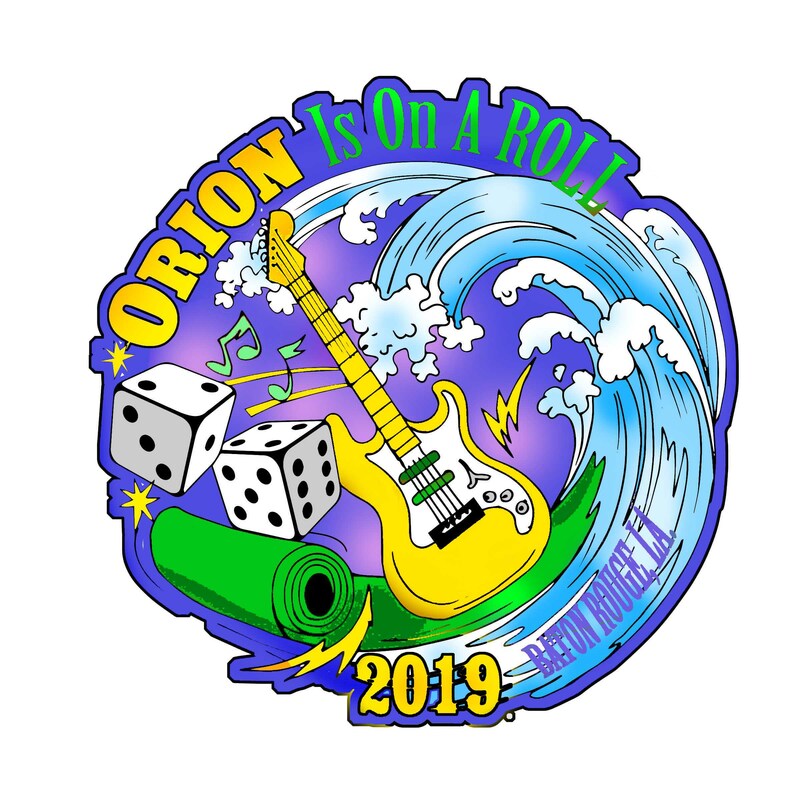 Following the parade theme, “Orion Is On A Roll”, floats will be decorated to depict many items that tend to roll. On the floats, masked and costumed riders will throw plenty of themed parade medallions, Krewe of Orion signature footballs, cups, plush items, Orion doubloons, lighted throws, and beads. Marching bands, dance groups, and marching units (all of 20 members or more) will be among the great sights and sounds at this wonderful family-oriented parade. Note: Our parade entries are now at capacity for the 2019 parade. We are excited to have all of the marching bands, dance groups, etc. that will be joining us this year! The parade ends as it runs into the Raising Cane’s River Center Exhibition Hall where our Masquerade is held. Tickets are still available for our annual Masquerade! Visit our Tickets page for more information. This is the PREEMINENT Mardi Gras party. Each year we have a premier dance band for our entertainment! This year’s entertainment is GROOVY7. Guys, do you want to become a member and ride with us? Well, complete our online Membership Application and if you are approved, you’ll be notified to submit your payment. We are always looking for new members!